CSC offers the most powerful form of this highly effective acid by not adding any buffers to it, and by offering customized dosage strengths and custom formulating it with other ingredients based on the needs of individual client. Derived from sugar cane, Glycolic Acid's molecular makeup is easily utilized by the skin and loosens the substance that binds age spots as well as dry, rough and scaly skin revealing new skin that's more hydrated and healthier overall than ever before. 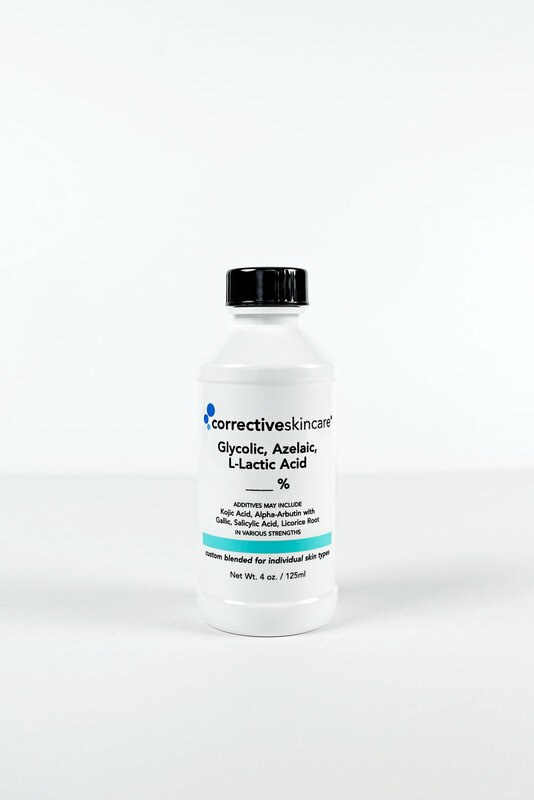 Glycolic has also been clinically proven to be a very aggressive age fighting tool, dramatically reducing the appearance of fine lines and wrinkles. Glycolic Acid is the smallest molecular size of the alpha-hydroxy acids. L-Lactic is the second in the group of alpha-hydroxy acids giving a slower penetration which makes it more suitable for dryer skin and contains a natural bleaching agent. Azelaic is a dicarboxylic acid: A natural skin lightening and works great for people who are acne prone. Salicylic is a beta-Hydroxy acid, this is a peeling agent with natural spin trap. It can be used alone or blended with other acids for acne prone or oily skin. L-Arubtin, Gallic and Kogic acids may be blended to other acids to give skin lightening benefits. Would you like to include any additives? I have used this product too since I was 30 and now 56 years old. This product makes my skin thick. I feel I have amazing skin because of the glycolic, I get from Corrective Skin Care. After the tingling sensation, then you put the EGF Cream. Then you become Gorgeous! Thanks again Gail...because of You! Originally a skeptic, now a believer! 30 years of use and still fooling everyone about my age! This is a facial addiction that I'm glad I can't break! Try it. You'll be a believer too and when you're 63, no one will think you're over 50. A miracle juice for the skin! Evens out my skin tone, reduces size of pores, and helps remove dead skin. I love the fact that the strength of this product can be increased based upon your skin's response. 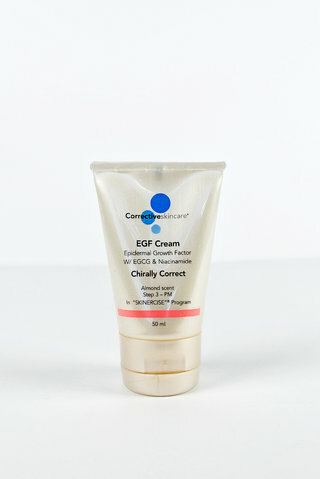 In fact that is one thing I love about Corrective's products is that they are customized to your skin. Glycolic definitely improves texture reduces fine lines. I have tied several serums for pigmentation over the last couple of years and have seen a slight improvement which accumulated over quite a period of time. After just one application of Corrective's Gycolic with L-Arubtin & Gallic, I have noticed a significant difference!! Such an amazing product.